Your computer is just like your car, except you don’t fit in it. To run well, both require regular maintenance, something that too many of us easily forget until it’s too late. 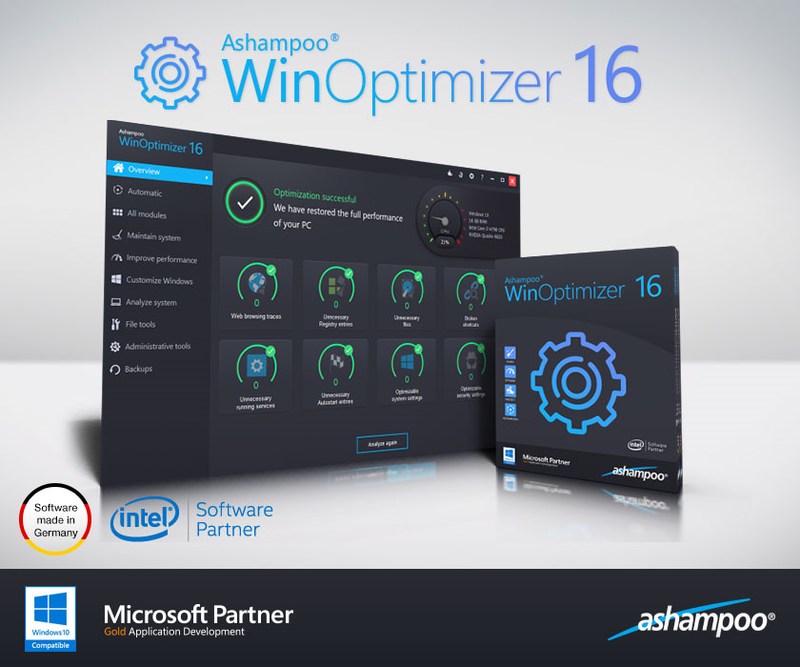 Today’s discount software promotion fixes things so that you never have to remember to perform maintenance on your PC ever again – it’s Ashampoo WinOptimizer! 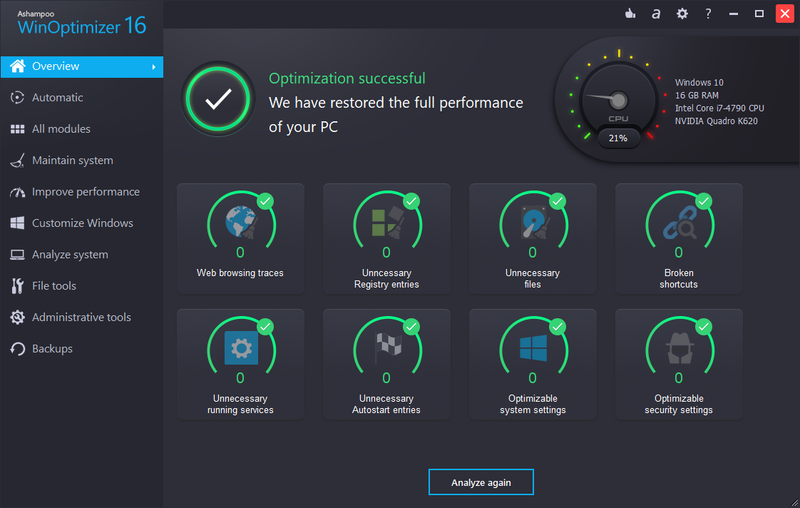 Ashampoo WinOptimizer automatically performs maintenance operations to improve system responsiveness, protect your privacy, fix Windows errors, and reduce clutter. With Ashampoo WinOptimizer, you no longer have to perform the tedious manual tasks associated with each problem area, leaving you more time to focus on your work and be productive! Multiple system analysis tools provide a detailed look at installed hard and software components and the tweaking module has been improved with even more Windows customization options. Energy Manager has been added to the suite to help users conserve power and battery life. Browser Extension Manager handles browser extensions of all common browsers across user accounts and provides a quick way to uninstall unwanted addons. The new start page has been redesigned and packed with more features and information than ever before. 80 new and faster components make this the fastest WinOptimizer of all time. After you purchase Ashampoo WinOptimizer it may be used indefinitely. 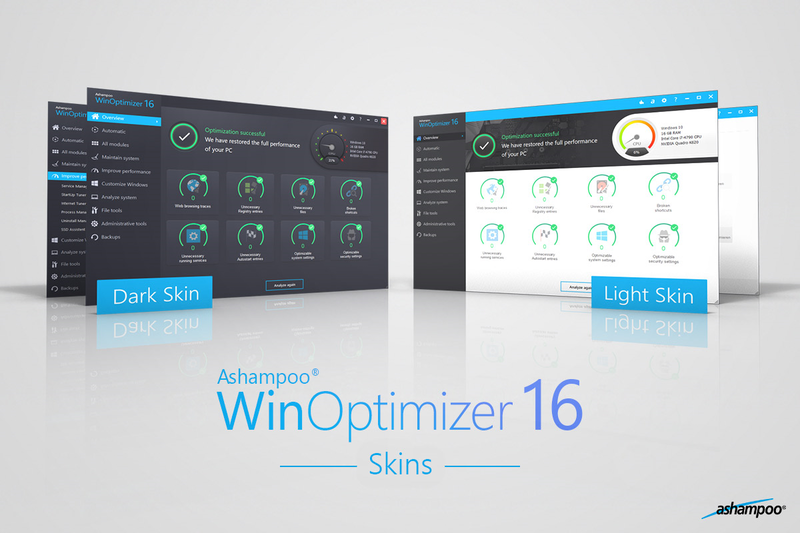 Ashampoo WinOptimizer is licensed per user, so if more people are going to use Ashampoo WinOptimizer you will need to purchase additional copies.